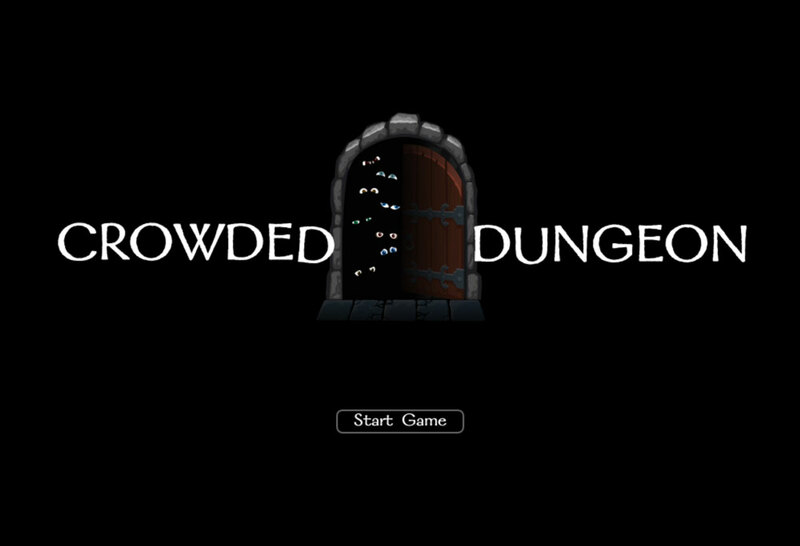 Crowded Dungeon is an adventure game that explores players’ roles in the creation of video games. In the game, the Hero attempts to sweet talk, cajole, and threaten various monsters to let her escape the dungeon in which she is trapped. 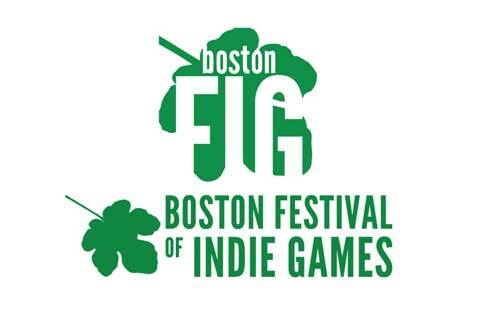 Players can take on the role of either the Hero trying to convince the monsters to let her pass, or the monsters themselves. 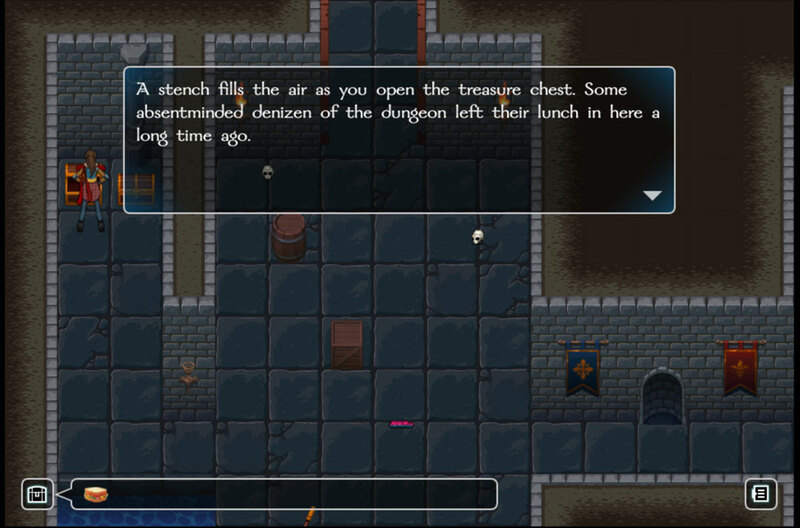 In Crowded Dungeon, a player may become either the Hero exploring a mysterious dungeon, or the Gatekeeper monsters who watch over the dungeon, testing anyone who tries to gain entrance. 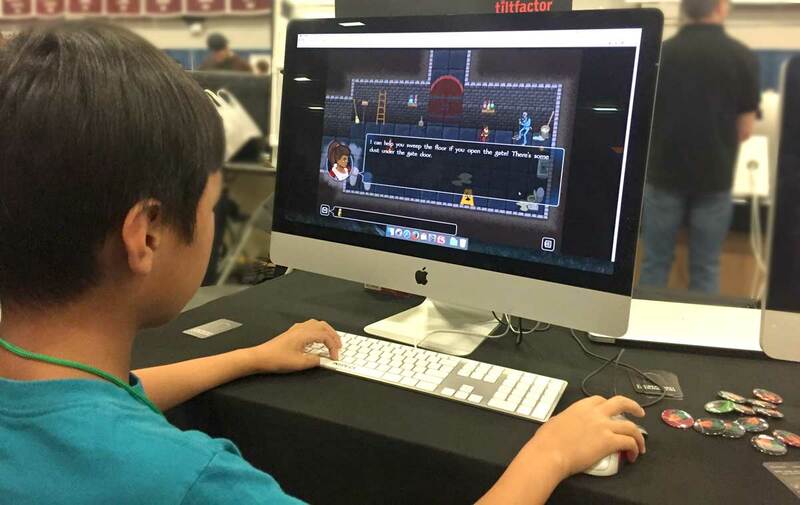 As the Hero, you can travel around each room of the dungeon using the arrow keys. 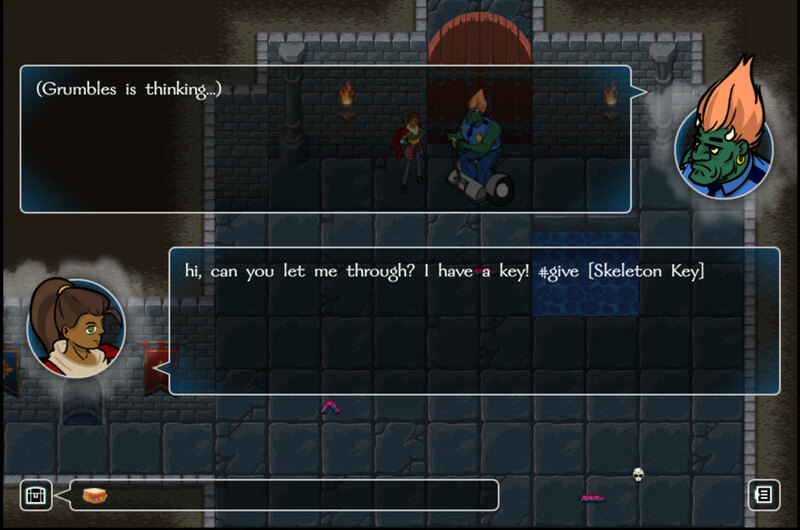 To interact with the objects you may find, use the spacebar while standing next to them. In some cases, you can pick items up by doing this. These will be shown in your inventory in the lower left. At the gate to each room of the dungeon is a Gatekeeper monster who will judge whether you may pass. When you approach them, you will be prompted to type in a message. You may use persuasion, bribery, or even threats to get past the Gatekeeper. 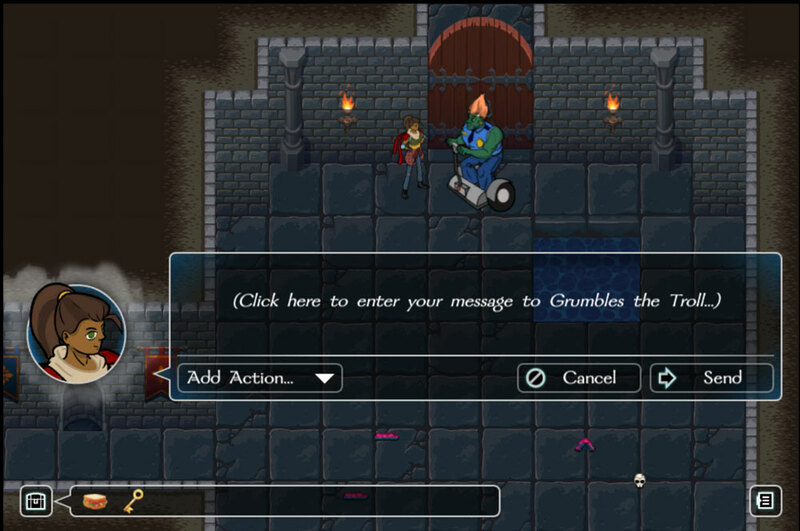 You can also add actions such as giving items or attacking, by using the action menu. (Actions are prefixed with the “#” symbol.) The Gatekeeper will then decide whether to let you through or not. 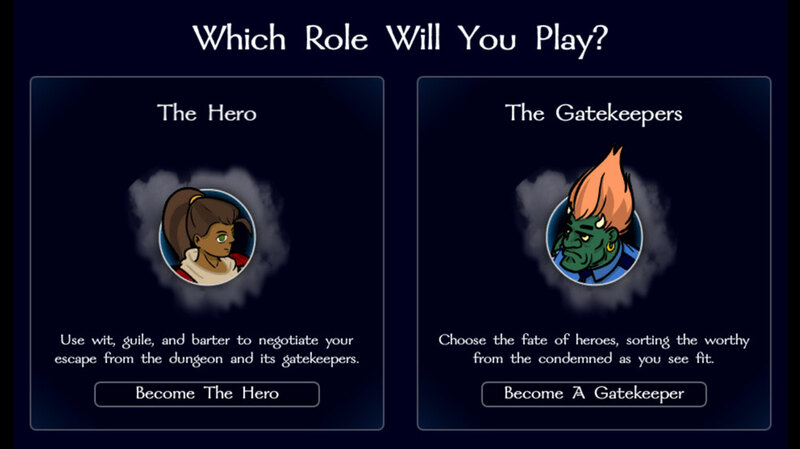 Alternatively, you may choose to play the role of the Gatekeeper monster guarding the dungeon. As a Gatekeeper, you will be approached by Heroes. Respond to each one by typing in a response and selecting actions from the menu. 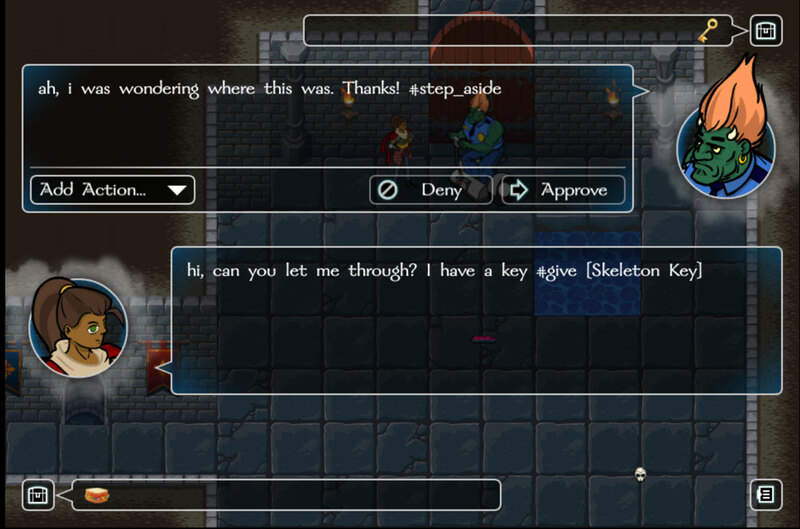 You may even give the Hero something not shown in your inventory, by specifying its name after the “#give” action. Once you have finished your response, send it to the hero by clicking either “Accept” or “Deny”.